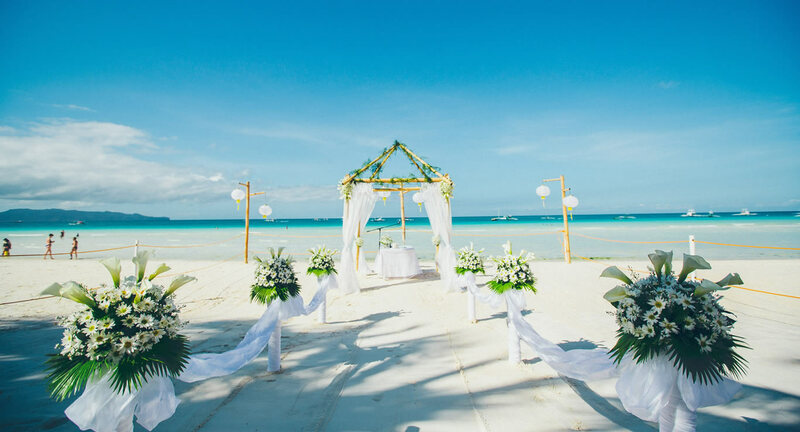 Known for its elegant beach weddings, Fridays Puerto Galera is situated in the secluded island of Boquete. Away from the maddening crowd, Fridays ensures important events remain in relative privacy. To those beginning their unions, we understand how special that day is and our staff is trained to cater to those smallest of details. Local and foreign guests alike celebrate their special day right in front of our luxury resort in Puerto Galera with the calm sea water as background. With the seascape as the focus, decor need not be elaborate. Minor accents are the key to enhance the tropical setting – bright colored flowers, a smattering of seashells, candles for adornments and torch lanterns that offer strategic lighting for an evening set-up. For inquiries about Fridays Puerto Galera’s wedding services, contact our Makati Sales Office at +632 810 2101 or send a message below.